Transport Media has launched a new 12 month advertising campaign with Northumbrian Water to inform customers about a huge improvement scheme to their water supply. 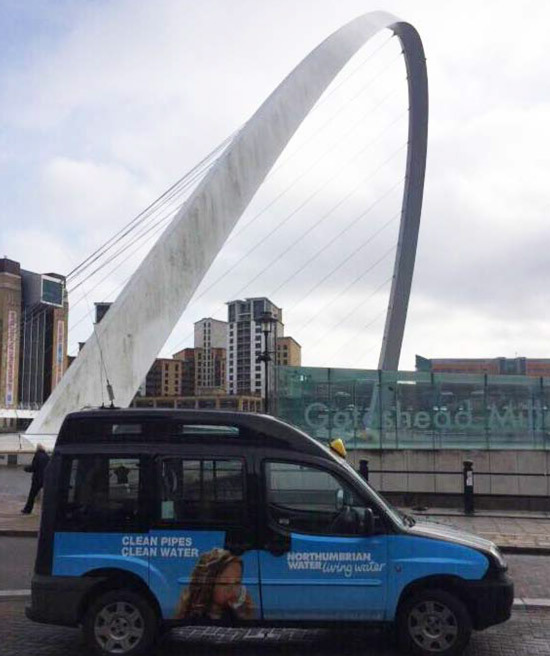 18 taxis feature superside advertisements, promoting the work that the water company is carrying out and strengthening their brand presence on the streets of Newcastle upon Tyne. The advertisements are sure to stand out on the streets of Newcastle, with the bright, light blue coloured supersides reflecting the clean and pure qualities of Northumbrian Water. 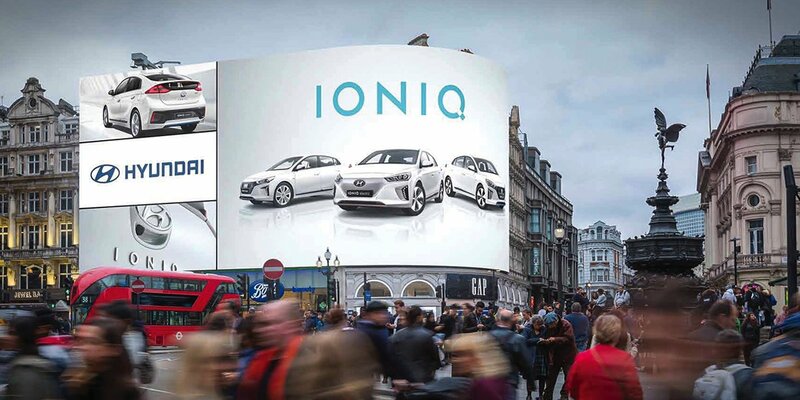 Taxi supersides provide a maximum impact advertising opportunity and are a cost-effective way to reach a vast audience with key messages. Northumbrian Water is currently investing £66 million to improve water quality for one million customers in Gateshead, Newcastle, Northumberland and North Tyneside. The scheme involves cleaning 218 kilometres of large diameter water pipes, many of which are located under busy routes into the city centre.